HNN Editor's Note: We reached out to Professor Green for a response. He chose not to provide one. Here we go again: Another professor dealing with the Middle East or Islam who can't get basic facts right. 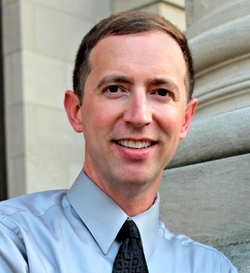 This time, it's one Todd H. Green, associate professor of religion at Luther College in Decorah, Iowa, and author of The Fear of Islam: An Introduction to Islamophobia in the West (Fortress Press, 2015). The book's title reveals its contents: the usual academic pablum about Islamists as innocent dears while critics of Islamism are greedy and vicious haters. Todd H. Green bemoans my "huge impact on the misinformation about Islam that circulates so freely on the Internet," yet calls me a mere "figurehead." Go figure. Princeton University, where I did not get my Ph.D.
At this rate – nine factual mistakes in three pages – The Fear of Islam would have over a thousand errors in the book, errors that symbolize the misinformation that too often characterizes the contemporary American pseudo-academy and consequently (to quote Green) "circulates so freely on the Internet, in the media, and in political circles." that they did so purposefully; or that bias colored their reading. I doubt they did so intentionally – no one wishes to be caught out and ridiculed for making errors. My hunch is that, in their eagerness to discredit someone whose approach differs from theirs, they read my analysis hastily and prejudicially. There's much talk these days of "fake news"; I submit that fake scholarship by Todd Green et al. is no less a threat to democracy. 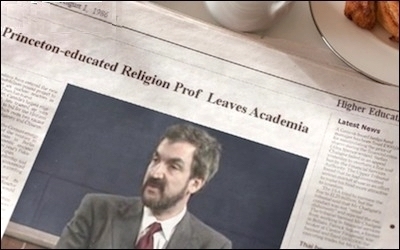 In the fictional universe of Todd H. Green, I'm a Princeton alum with "academic training in religion" who "permanently" left the academic world in 1986. Jan. 30, 2017 update: Stephen M. Kirby points out to me that Todd Green wrote My Neighbor Is Muslim: Exploring the Muslim Faith (2015) for the Lutheran Social Services of Minnesota. 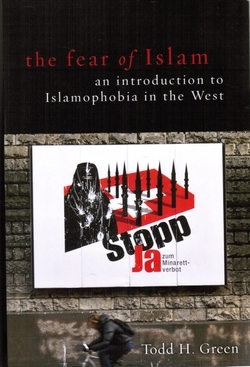 Kirby wrote two articles exposing this booklet, one about Imam Hassan Ali Mohamud who endorsed it and one about the "fantasy Islam (Kafir edition)" portrayed in it.